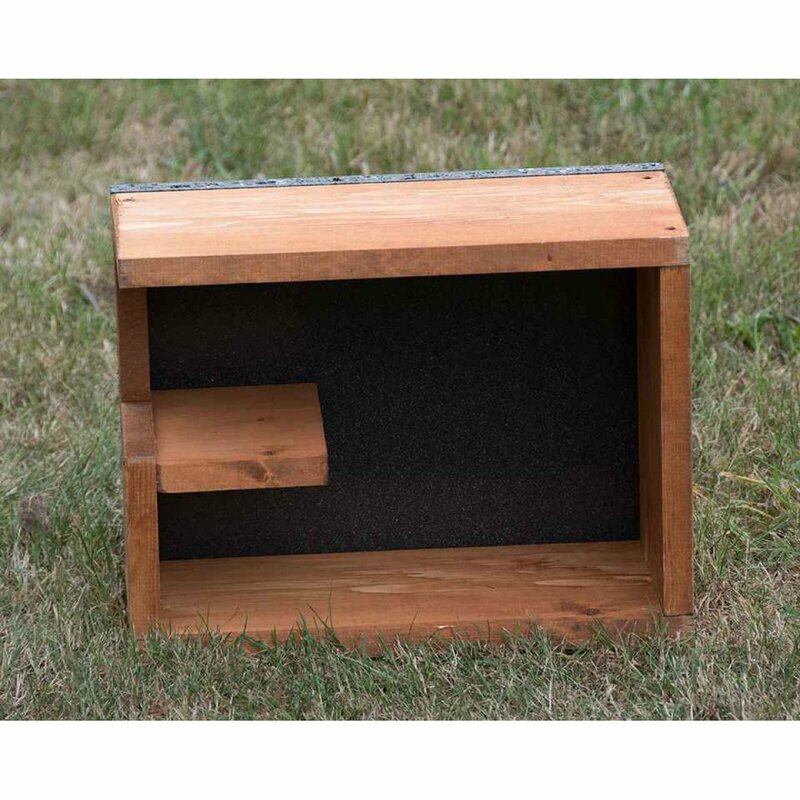 A great little Hedgehog House at a low cost. This one has no wooden floor, so is simply placed on the ground where you wish to put it. Ideally, this would be on soft ground with some insulation (ie covered with leaves or other material) . there is an offset partition to keep the wind and rain out, whilst keeping the hedgehog safe from nosy cats or other animals.